Rachel Hall will look to make the girls 200m final again this year. The girls 200m will be an explosive event. It has a loaded field and making the final will be quite the accomplishment. Last year, it took 24.80 to make the final and this year could require an even faster time to get in. 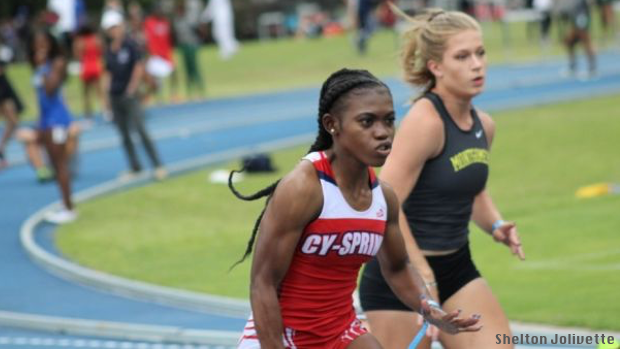 Cy-Springs senior Rachel Hall and Kennedale junior Alexis Brown are just two of the outstanding sprinters who will line up for the event. The girls 400m has been one of the premiere events over the last couple of seasons. This season will be no different Frisco Heritage senior Bailey Lear and Frisco senior Whitney Williams will be two of the top performers. Both girls are no stranger to fast times and the big stage. Lear is the current meet record holder with her 55.01 time from 2016. Add Mansfield Lake Ridge senior Ariel Ford who is the 2017 UIL 5A 400m runner-up and the girls 400 could see a new record this year. 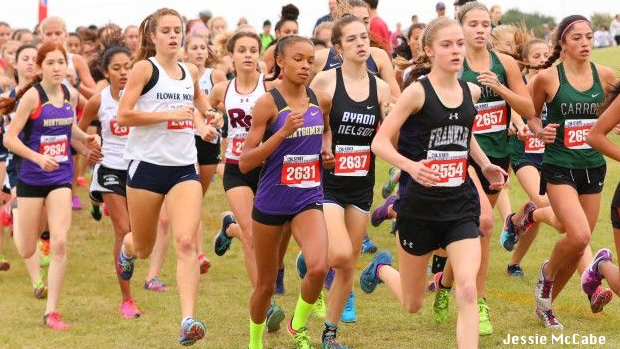 The girls 1 mile run will be full of some of the best distance runners in Texas. Montgomery dynamic junior duo and elite runners Allison Wilson and Halena Rahmaan both ended their cross country seasons at national championship meets. Wilson qualified for the Nike Cross Nationals (NXN) and Rahmaan qualified for the Foot Locker Nationals. Throw in Southlake Carroll runners who also qualified for NXN as they always do then you have an elite field. Carroll lead runners Cate Tracht, Sara McCabe, and Sofia Santamaria will help push the pace. It may sound like an exaggeration to say some of the best hurdlers in the world will be competing in the boys 60H field, but it's true. Oregon commit Eric Edwards and Kentucky commit Noah Green have both taken on the world's best and lived to tell about it. In fact, Edwards came away with a gold medal this summer from the Pan American Junior Championships. Both Edwards and Green were finalists at last year's meet and they both look to begin their 2018 season with at win. The boys 1 mile is a deep and quality field. It will probably go a good 4-5 heats deep with quality runners. However, the first heat could be a barn burner. With several quality runners like Cash Kunkel, Cruz Gomez, Ethan Hageman, and Carlos Rodriguez who all have low 4:20 1600m PRs or better, expect a very fast race. 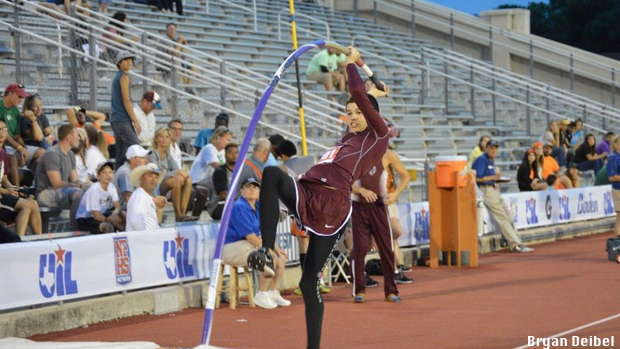 The boys high jump will have some of the best jumpers in Texas competing and more. Poth senior Jake Lamberth will look to improve on his second place finish at last year's meet. Lamberth went on the take second at the UIL 3A state meet as well at the Great Southwest Classic. He eventually go off that second place finish hump and grabbed the AAU Junior Olympic Games high jump championship. Katy Tompkins senior Mason Corbin took second at last year's UIL 6A state meet after picking up the event in February and jumped to a 6-11 PR. He will look to perform well at his future home of Gillium Indoor Statium as he has committed to Texas A&M. York, Nebraska senior Mayson Conner will come to Texas with the best PR of all jumpers in the field with his 7-1 PR. Conner is the Nebraska state champion and will look to start off his 2018 season with a Texas A&M High School Inv title. The headliner will be Oregon commit DJ Henderson. The DeSoto senior will hope to begin his season where last year left off. Henderson began jumping to the end of sand pits across the state. He popped two big jumps in his last two meets. One was a 23-11 at the TTFCA Meet of Champions and then an outstanding 25-5 at the Great Southwest Classic. Kenneth Bodwin of Stafford lives in the field. He is a field event stud and he will compete in an ultra competitive long jump competition. Bodwin comes in with an outdoor PR of 23-1.75. Along with Henderson, Bodwin will take on another field event stud in Houston Strake Jesuit Junior Matthew Boling. Boling comes in with a long streak of meets where he jumped over 23 feet. His farthest jump is an outstanding 23-11. Boling just may be the most consistent jumper in the state. The boys pole vault will have a lot of out of state flavor to go along with the Texas flyers. Louisiana 1A-2A state champ Kenny Odinet of Ascension Episcopal will bring his poles to College station with hopes of capturing a victory. Odinet has a PR of 16-3 and could match that with the outstanding competition he will have. Ariel Dyrek, Santa Monica, California will also look to sneak in and out with a victory. Dyrek has a 15-4 PR from last season and will look to pick back up on that from in the first meet of 2018. Waiting and welcoming the out of staters will be Tyler Lee senior Branson Ellis and George Ranch senior Jacob Adair. Ellis is the defending UIL 6A champ and will look to improve his 15-0 indoor PR. Adair will look to do the same and improve his 15-3 indoor PR. Last year, the Girls 4x400 relay was a hot race. This year's sequel should be just as good. First of all, not many Florida teams stick around to run in the relay, but this year the South Florida Striders (St. Thomas Aquinas) will do just that and they must be considered dangerous! Then there is the rematch of the North Texas Cheetahs Elite (NTC Elite) and Destined2Run (D2R). These two Dallas Metroplex squads provided the action last year and should do so again. NTC Elite has two squads in the fast heat, so pick your poison, but the B team looks to be made up of several of the Duncanville speedsters. The D2R squad also has some straight blazers on their squad including Bailey Lear. This race will definitely be worth waiting until the end for the show. 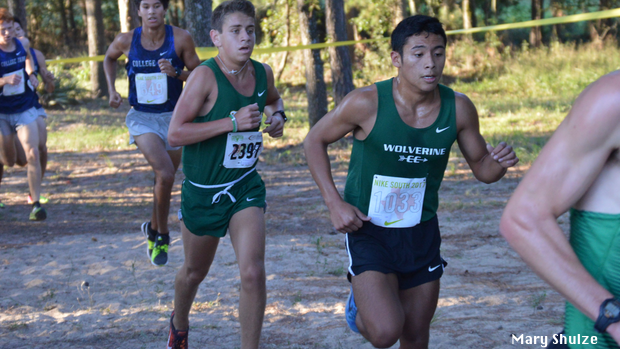 In last year's race, it was a barn burner between The Wings Track Club and Fort Bend Marshall. The two teams battled leg for leg with The Wings crossing the line just ahead of Marshall, 3:15 to 3:16. The Wings was disqualified for a lane infraction and the victory and the meet record was rightfully awarded to Fort Bend Marshall who's time stood as one of the top indoor times nationally throughout the rest of the indoor season. This year, the Houston area club -- The Wings should be a major player once again. They will get a push from Houston Speed (Strake Jesuit) and another outstanding club team in Track Houston. Last year Track Houston set the meet record of 9:36.75. They could have an even faster group this year. However, they will have to contend with some legit distance runners and by legit, I mean some of the fastest girls in the nation in the 1600m and up distances. Lining up to battle the speed of the club teams will be Bear Creek (Keller) and Hawk Track Club (Hebron). Keller will put their three seniors who the back to back UIL 6A championship and #4 national Keller cross country team was built around with their outstanding junior and 2:10 800m runner Isabel Van Camp. Hebron will also line up their experienced squad of outstanding runners who recently placed second at the UIL 6A cross country championships and third at NXR South. Last year, the boys race was one of the best on the track the entire weekend. Four teams ran under 8:00 with the win being decided in the final meters. The Wings Track Club, Richmond Gold, Winners Edge, and Afterburners all dipped under 8:00 with the win and the meet record going to The Wings in 7:55.52. This year, The Wings looks to defend their title and record, but that will not be an easy task. Winners Edge will be looking to get the win that was in their grasp last year and they have studs on their team including Dereck Elkins and Sean Prendeville. Another quality opponent will be South Florida Striders (St. Thomas Aquinas). They will being in some quality runners that all hover around the 2:00 mark.